DreamPop duo Naomi Robinson & Conor Barton were discovered in school after winning triple j Unearthed-High 2015. They’ve since had 4 singles on rotation & released the Television Love EP. With nods to Mosquito Coast's familiar breezy pop sensibilities, ‘Skipping Girl’ brings a new sense of maturity and confidence to their sound. Swirling guitar, sweet harmonies and lush synths provide the backdrop to a contagious melody – a testament to the pair’s songwriting prowess and commitment to developing their craft. If space-rock trio Usurper of Modern Medicine is a band of musical healers, consider this new album a prescription for transcendence - melding krautrock with maximalist soundscapes and psychedelic chaos. "Intercyclical’ - the third single from Usurper of Modern Medicine's new album reveals itself like an astral slow dance, painting a tapestry of lush ambience that’s as organic as it is ethereal, falling somewhere between a modern worship song and a hypothetical lost cut from the score of Jodorowsky’s ‘Dune’. Unfurling at breakneck speed and featuring glimmering synths flooding over pulsating basslines and reverting vocals, House of Reps is the latest from Perth post-rock/experimental/electronic trio, Usurper of Modern Medicine. Featuring a prismatic flurry of glimmering synths flooding over pulsating basslines and faraway reverting vocals – House of Reps is your five-minute soundtrack to a journey through a hall of mirrors – and it’s out on 16 June via Independent/MGM! Naomi Robinson & Conor Barton make sun-bleached pop as Mosquito Coast. Hailing from Perth WA and naming themselves after a Harrison Ford film, these 18-year-olds won jjj's Unearthed High 2015. The six-track EP titled ‘Television Love’ is filled with breezy pop melodies, sun-bleached guitar and dreamy vocals. It was recorded at REC Studios Sydney, produced by good friend Carl Fox (Porsches), engineered by Tom Garnett, mixed by Jack Moffitt (The Preatures), and mastered by Andrew Edgson at Studios 301. Naomi Robinson & Conor Barton make sun-bleached, guitar-driven pop as Mosquito Coast. Hailing from Perth, WA, these 18-year-olds were the champions of Triple J Unearthed High 2015. Mosquito Coast's third single recorded at Rec Studios, Sydney; Produced by Carl Fox (Porsches) and Mixed by Jack Moffitt (The Preatures). 'Commotion' is Mosquito Coast’s first recording since winning Triple J Unearthed High this year, and it’s brimming with jammy, psychedelic goodness. Commotion is a kaleidoscopic groove made for sunshine and open minds. It’s Mosquito Coast’s first recording since winning Triple J Unearthed High this year, and it’s brimming with jammy, psychedelic goodness. Indie-rock duo, Mosquito Coast, have released the dreamy tune, Call My Name, currently on rotation at Triple J, following their big win of Triple J Unearthed High 2015. Husband has been likened to Johnny Cash, Nick Cave, Neil Young and The National, but however you’d like to label his grungy Americana – it’s hard to shake. 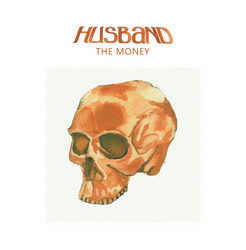 The Money is the most anthemic track on the album, despite its broody lyrics. "It expresses my frustration about how money and happiness are closely linked for many people," Paolino says. "One night I found myself walking through Perth’s financial district. It felt so dead...the emptiness inspired this song." Perth indie-Americana artist, Husband, unleashes the first single Caught from his debut album. Recorded in LA - the single has been playlisted on Double J and Triple J Unearthed. Growling baritone. Gritty, honest storytelling. That’s what makes Husband hard to shake. He’s as intense as his songwriting, which beckons forth in a grungy Americana style.